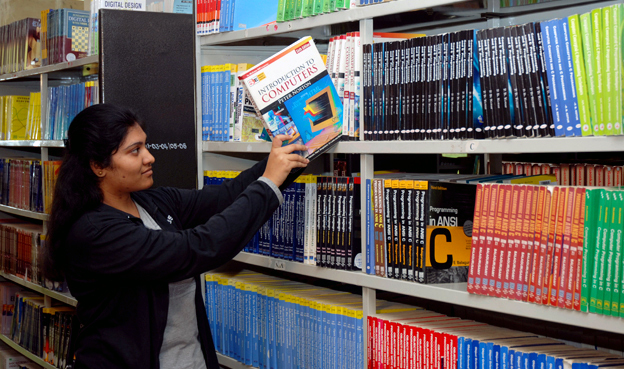 College Library houses a large number of titles and volumes of reference books, textbooks and handbooks required for teaching learning activities. Besides technical books, there are good number of books on management, humanities and literature. Library has occupied over 840 sqm. Area. It has well designed and maintained stock rooms. The library database is centrally computerized and it has the bar codes on the books for easy, secure and quick operation. Student can reserve the books through the LIBSOFT / Web-OPAC. It has Journal section, reference section, magazine section, reprographics facilities, internet connectivity, scanning facility, printing and CD viewing etc. photocopying and printing is provided to the students at lower rates.